The 2015 Happy Smackah 5k Fun Run / Walk is just weeks away. Here are the Top Reasons to Register for the Happy Smackah 5K today! For the 5th year running, the most popular sticker in St. Vrain returns – courtesy of our five-year sponsor StickerGiant. Each participant gets their very own Happy Smackah logo sticker! Now bigger (slightly) and better than ever! Everyone loves stickers – make it to the finish and get yours! 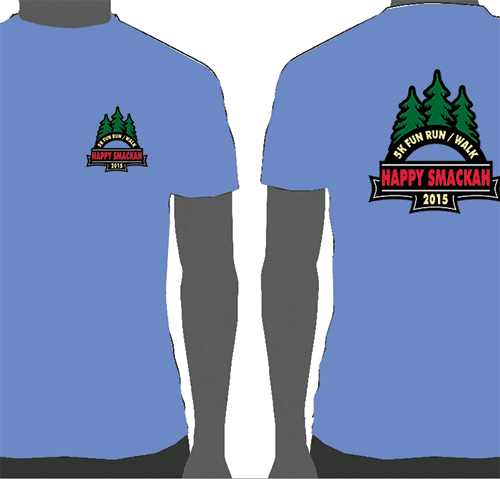 Sweet Happy Smackah Tee Shirts! Skazma, a five-year sponsor of the Happy Smackah 5K, will again ensure each participant has yet another sweet tee shirt – a perfect way to remember the great time you had at the event! Available in cotton and performance tech – don’t miss your chance to look awesome yet again! Longmont High School’s National Honor Society has undertaken the “Thousand Origami Cranes” project in honor of cheer coach Kelly Haley. 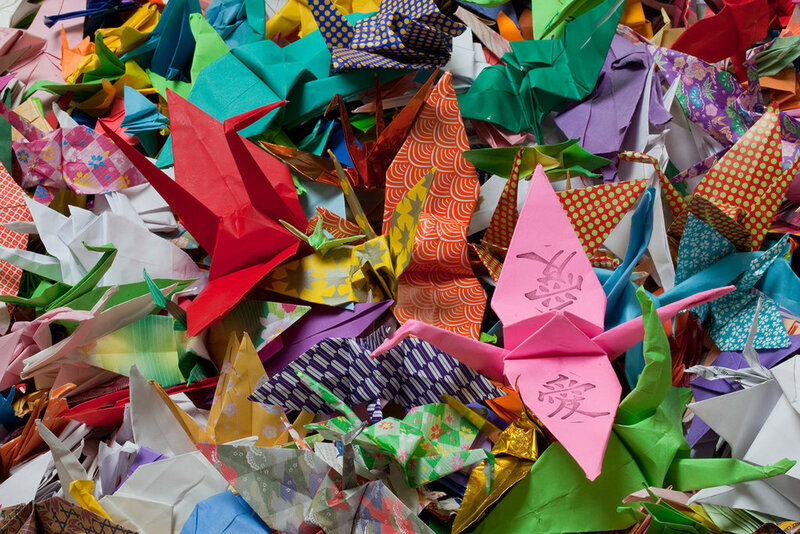 Ancient Japanese legend promises that anyone who folds 1000 origami cranes is granted a wish by a crane, such as eternal good luck, long life, or recovery from illness or injury. NHS will hang the cranes at McIntosh Lake on behalf of the LHS students & staff, to wish Coach Haley eternal good luck as she fights this battle, and as she says, “kill this thing with laughter”. LHS is very proud of her and are behind her every step of the way! 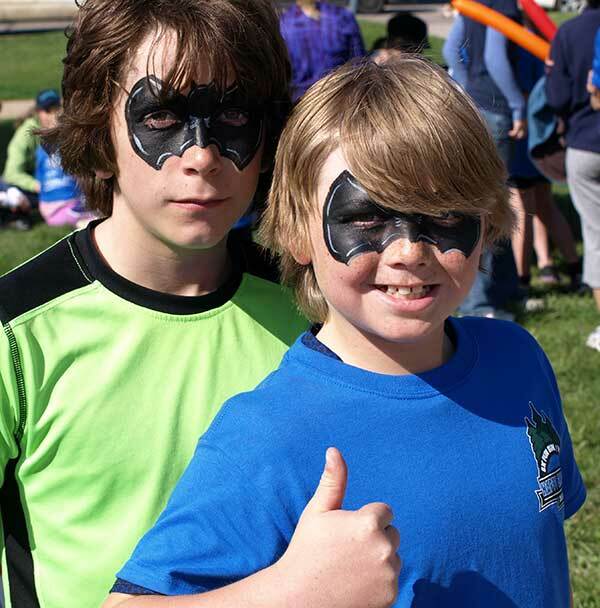 For the fourth-consecutive year, Face 2 Face will be attending our 5K event and will be setup at the finish to provide complimentary face painting. If you can think it, Face 2 Face can paint it! 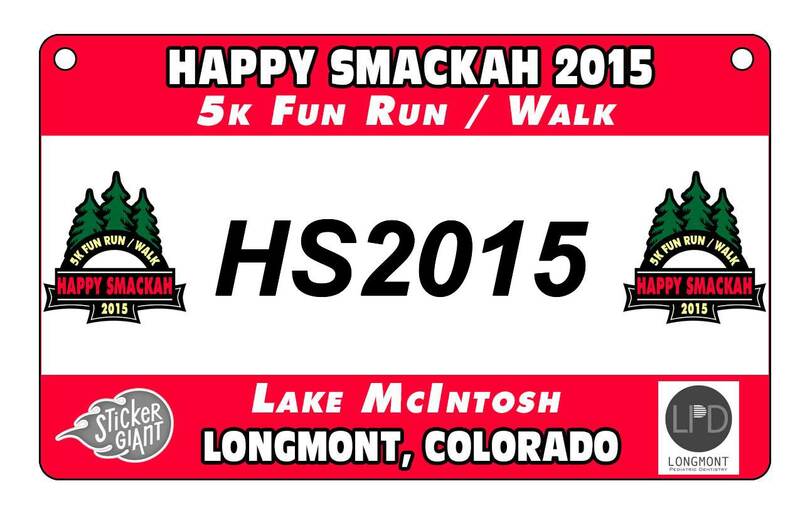 The Happy Smackah 5K has become a great community event and tradition in the St. Vrain area. Don’t be left out – all of your friends are sure to be there. Come join them! Join our former Happy Smackah beneficiaries – Dan Cribby, Kaylee & Aubrey Adams, Andy Barela and Jill Woo Ching at the event. They are all setting out to do the full 5K loop around Lake McIntosh. So why don’t you?! Register today and you have the best reason ever to use the official Happy Smackah Race Bib maker. You can instantly get a custom HS Race Bib to print at home and bring with you to the race! 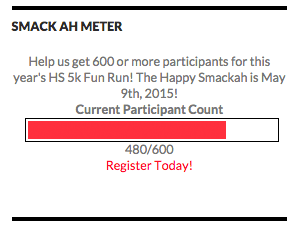 The Smack Ah Meter can be found at the Happy Smackah site – and it is time to OVERLOAD IT! Let’s see if we can break the Smack-Ah-Meter. How fast we can get to 600 Smackahs (and beyond!) for the 5K to show our strong support for Kelly? C’mon, Let’s Go! The mission and spirit of the Happy Smackah is to build extraordinary communities by enabling people to support and inspire each other. From our experiences with Dan, Kaylee & Aubree, Andy, and Jill we have learned we have a community of strength, love, caring and hope. 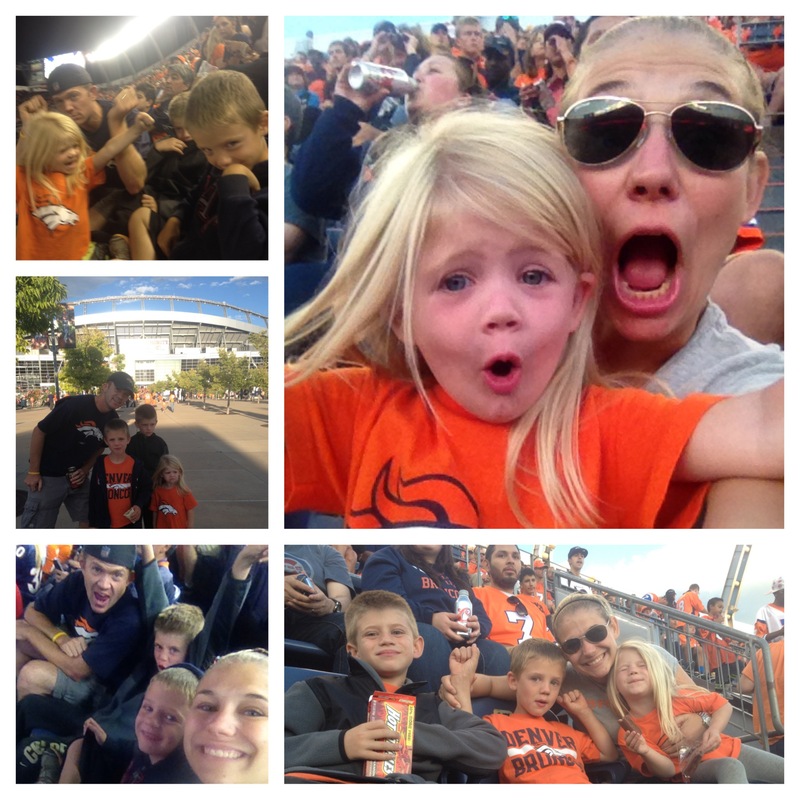 Let’s come together again to help out this year’s Happy Smackah, Kelly Haley and her family as Kelly kicks cancer.